If you haven’t invested in double glazing already, then we think it’s about time that you start looking into it. Many people we have come across, are unaware of the 5 top benefits of having double glazing, if you find yourself in this category, then have a read of our article below. Many people do not realise that having double glazing windows are energy efficient and long lasting, they should have a live for up to 20 years. This is another benefit within itself as it will give you piece of mind knowing you don’t have to worry about getting your windows replaced, for at least 2 decades. Although it can be a costly job, we advise it should be done, we’re wanting to protect your home for the future. This is a beneficial long term investment. Our double glazing in Woburn Sands, are specifically designed to add extra sound proof to your home. I’m sure you do not want to be woken up in the early hours in the morning by laughing children or windy weather? Then don’t, our team are fully experienced in fully installing double glazing windows to your home. Having double glazing, helps to detect condensation problems and eliminates any visible factors. There are many materials which helps to refrain condensation from forming, such as glass, UPVC and aluminium. If you currently do not have double glazing installed in your home, you might find that your home can sometimes feel a little cold, even with the heating turned up. Investing in double glazing will keep out all the access cold within the room, making it a far liveable and cosier home. Double glazing windows, do not need to be boring.  At Crown Windows, we have a variety of colours, designs and styles for you to choose from to suit the interior and exterior of your home. If the above sounds promising, then get in contact with us today. Take advantage of our free home consultation and quotation.